The latest bands to join the Fuzz Club Split Single alumni are London-based The Oscillation and the Portuguese 10,000 Russos. Both bands have been Fuzz Club favourites for a long time so the label is extremely excited to share this behemoth of a split single, offering 14 minutes of brooding, fuzzed-out psychedelia. One side belongs to The Oscillation and their industrial and menacing cut ‘Almost See’. The track is propelled by an unremitting gothic bass-line that roils through a sinister wash of celestial noise, stabs of fuzzed-out guitars, inaudible murmurs and discordant synths - making for a truly immersive, yet eerily foreboding, piece of psychedelia. 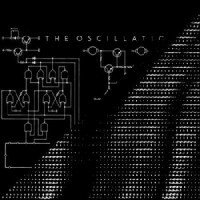 The Oscillation formed in 2006 out of the ashes of the critically acclaimed The Orichalc Phase and have an extremely fruitful back-catalogue behind them, boasting 15 different releases. 10,000 Russos’ ‘Ashkenasi’ is near-on seven minutes of droning, mystical psych. Both atmospheric and primal, and propelled with a stomping mantra, the Portuguese trio conjure up dark motorik rhythms with their use of incessant, minimalistic percussion, screeching electronic dissonance, white noise and otherworldly guitars submerged in fuzz. Take this and add the enchanting, ritualistic vocals of João Pimenta and it’s not hard to see why 10,000 Russos have been making their mark in European psych since the release of their self-titled on Fuzz Club in 2015.